This week marks the centennial of The Great Lakes Naval Station in Illinois. There are a number of events planned for the public July 2 through July 4. That information is listed below. I was also fortunate to have the Navy’s Culinary Specialist First Class (CS1) Stephen Elliot Smith join me and share his tried-and-true recipe for Navy Bean Soup. We’re always happy to support our military, and I’m really happy when someone else does the cooking! Culinary Specialist First Class Stephen Elliott Smith shows Wayne how to make Navy Bean Soup. Place the beans in a large saucepan and cover with cold water. Bring to a boil and lower the heat to a simmer. Cook for 5 minutes, remove from the heat, cover and let sit for one hour. Drain and reserve both beans and water. 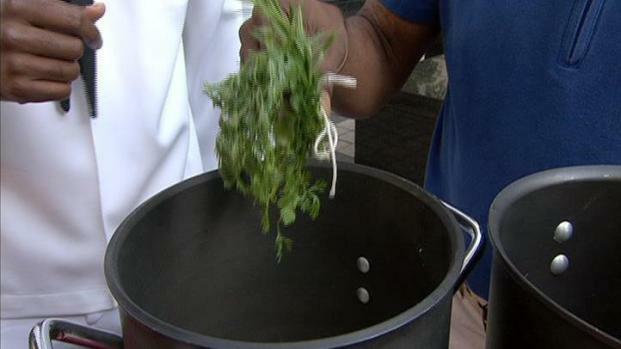 Tie the parsley, thyme and bay leaf together with kitchen twine. Combine the beans, herb bundle, hocks, onions and garlic with the water in a large soup pot or Dutch oven . Bring to a boil, cover and adjust the heat so the soup cooks at a gentle simmer. Cook until the beans and hocks are completely tender (around 1-1/2 hours). Of course we do not have all of the those fresh ingredients most of the time so we use dried seasoning. More than 100 years ago, President Theodore Roosevelt had what many thought was a crazy idea. It eventually made Chicago’s suburbs home to one of the most vital Navy bases in the country — with no ocean in sight. Roosevelt ordered the Navy to turn land on the shore of Lake Michigan into “the biggest and best naval training station in the world.” Today, as Great Lakes Naval Station celebrates its 100th anniversary, it stands as the largest military base in Illinois. It is also the Navy’s largest training center, having graduated millions of sailors on a 1,600-acre campus that has more than 1,100 buildings. Great Lakes Naval Station, which opened July 1, 1911, will host a free centennial festival from Saturday through the 4th of July. Hours are noon to 10 p.m. each day. It includes a carnival, craft fair, tours and kids events. Eight amateur boxing bouts starting at 3:30 p.m. at Ross Field. U.S. Army Soldier Show, a 90-minute musical performance by the Naval Band "Horizons". Pop Evil on main stage at 5:30 p.m., followed by Saving Abel at 7:30 p.m., Aaron Colton Motorcycle Stunt Show, Fireworks show running 20 minutes at dusk. Led Zeppelin tribute band Kashmir on main stage at 4 p.m., followed by Beatles tribute band BritBeat at 6 p.m. and Navy Band Great Lakes at 8:30 p.m. craft fair and historical tour, half-hour fireworks spectacular at dusk. General public must enter Great Lakes Gate 3 on Sheridan Road, just north of Lake Bluff and south of Route 137/Buckley Road. Drivers and all adults in vehicles must present photo identification upon entry. Gate 3 will close at 8 p.m. or earlier each night if parking is full. Blankets, strollers and chairs are allowed, but not food, beverages, grills or pets. Vehicles can be subjected to search by military personnel. Metra’s Union Pacific/North Line has a Great Lakes stop near Gate 3. 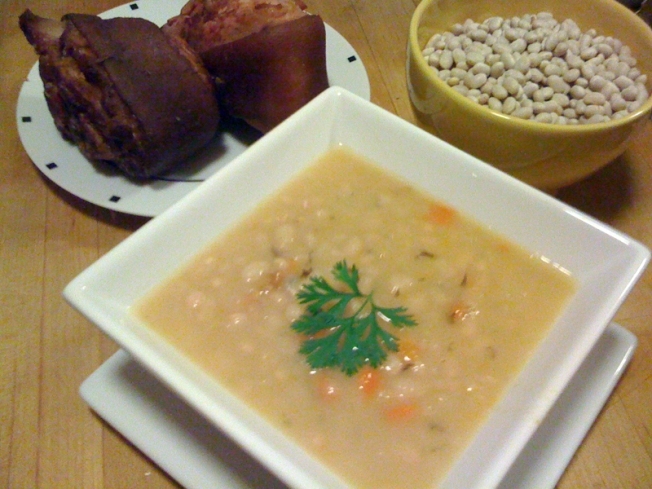 Thanks again to CS1 Smith for sharing this soup recipe. If you have any questions or comments, please send me an email at wayne@waynesweekend.com or follow me on facebook.